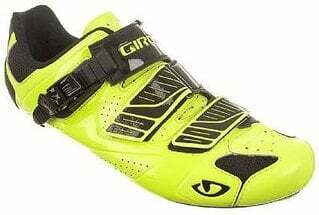 What cycling shoe is right for you will very much depend on your riding style, experience level, and budget. If you're a casual cyclist who rarely goes on rides longer than a few miles or so, you'll do just fine with flat pedals and regular street shoes. You may very well do just fine with this set-up even if your riding is more than casual—one of our staff rode her touring bike all the way across the country with sneakers and flat pedals. But if you're interested in taking your riding to the next level and making your pedal stroke more efficient, toe clips or a pair of cycling shoes and clipless pedals are the right way to go. When you're using platform pedals, the only time you can exert pressure on the pedal is when you're pushing down with that foot. Toe clips or clipless pedals allow you to utilize the whole pedal stroke—both the down and the up. When your feet are secured to the pedals, you can pull up with one foot while pushing down with the other, for much more efficiency. 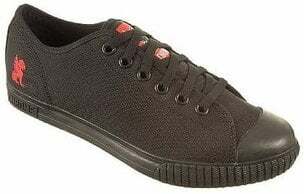 Cycling shoes, usually designed for use with clipless pedals, have stiff, rigid soles, to protect your feet and offer support to reduce cramping and fatigue in addition to providing more efficient energy transfer. Road shoes are designed purely to maximize pedaling efficiency—they have very stiff soles, usually made of nylon, carbon fiber, or a composite material, paired with a lightweight ventilated upper. The best road shoes have secure closure systems that are adjustable on the fly-think Velcro or ratcheting buckles. Your road shoe should fit securely for the best power transfer; the last thing you want to be thinking about during a sprint or tough climb is how your heels keep pulling out of your shoes. Road shoes are not designed for any kind of off-the-bike use. The soles may be quite slippery, and the cleats are not recessed, which means they interfere with walking. Walking on hard surfaces (like roads) wears down cleats and, if done regularly, will cause them to require replacement sooner. Shoes designed for road use usually have three holes drilled for cleat attachment, since most clipless pedal systems designed for road use make use of three-bolt cleats. Take a look at our selection: Men's Road Shoes and Women's Road Shoes. 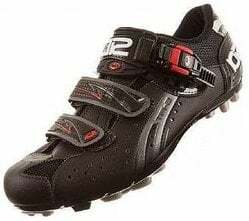 Off-road cycling shoes also feature stiff soles for good power transfer, but they tend to be a little less stiff than road shoes. They also have recessed cleats and aggressive tread patterns for walking when it's necessary—and to help keep the cleats from getting gummed up with mud and dirt. Mountain bike shoes generally take two-bolt cleats, like those used with Shimano's popular SPD pedals. Check out Men's MTB Shoes and Women's MTB Shoes. Shoes designed for touring and commuting tend to accept two-bolt cleats as well; the SPD system is popular with these types of riders. Touring shoes are usually styled like ordinary street shoes; you can wear them both on and off your bike, without getting too many funny looks. For example, we're big fans of the simple Chrome Kursk Pro 2.0 SPD Cycling Shoe and the stylish work-appropriate Giro 2015 Republic Cycling Shoe. The Shimano SH-MT33 Multi Use/Touring Shoe has sneaker styling that makes it suitable for all kinds of rides, both on- and off-road. Because these shoes accept two-bolt cleats, we categorize them with mountain bike shoes, and you can find them in our Men's MTB Shoes and Women's MTB Shoes categories. Along the same lines as the touring & commuting shoes, cycling sandals are a great choice for urban cyclists looking for a casual shoe for both on- and off-bike use. The Keen Men's Commuter III Cycling Sandal, with its rubber toe bumper, is a popular choice. Once you've found the perfect pair of shoes for you, make sure to match it up with appropriate pedals. We've got some information available here, but don't hesitate to contact us with any questions at 1-800-682-0570 or [email protected]. We'd love to help you out in choosing the best shoe and pedal combination for you.